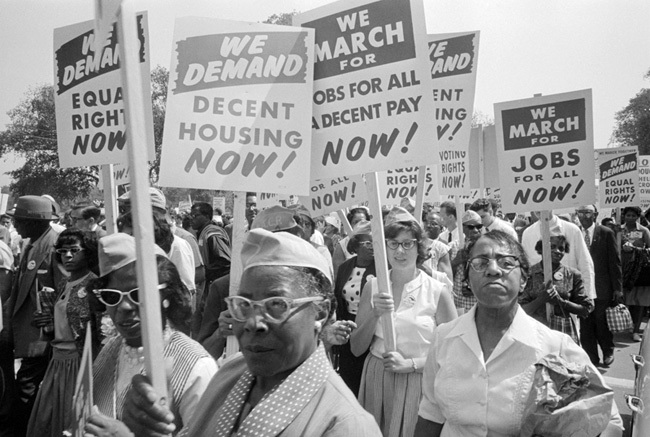 Eyes on the Prize is a fourteen hour documentary series that tells the definitive story of the civil rights era from the point of view of the ordinary men and women whose extraordinary actions launched a movement that changed the fabric of American life, and embodied a struggle whose reverberations continue to be felt today. This is a documentary series about the American Civil Rights Movement, starting in 1952 with the murder of Emmit Till and the subsequent trial and ending with the civil rights march to Selma in 1965. Along the way, the series touches on the major figures of the movement such as Martin Luther King and Rosa Parks and major incidents such as the Little Rock school riots and Montgomery, and the Alabama Transit Boycott. shouldn't this be tagged so it goes into the videos gallery?